Self empowerment - KRASS e.V. 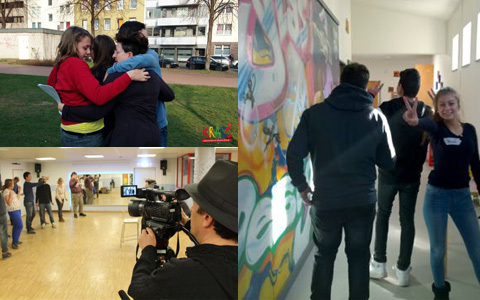 “KunstGEWALTig” is a project to prevent violence and develop tolerance. The using of art gives participants an understanding of self-image, co-responsibility and diversity in community. Dealing with aggression and conflict resolution are the central point of this course. In today’s world children and youths are exposed to many aggression promoting and violence triggering influences. Loosing of emotional security in the family, personal isolation & brutality in the media are only some of the causes which contribute to an increase of the potential of violence. Children & youths who neither feel safe nor loved tend to have a lower self-assurance. Topics: “self-image, co-responsibility and diversity in community”, “cooperation”, “basal democratic attitude”, “dealing in cases of conflict” by using art and creative activities.